A hamburger patty made from lab-grown meat — or "schmeat" — is expected to be unveiled and grilled later this month at an event in London that is highly anticipated by animal rights activists and other backers. The Current explored the significance of this milestone and the future of "in vitro" meat. Maastricht University physiologist Mark Post is expected to grill a patty of lab-grown meat that has taken two years and €250,000 ($338,000) to produce. 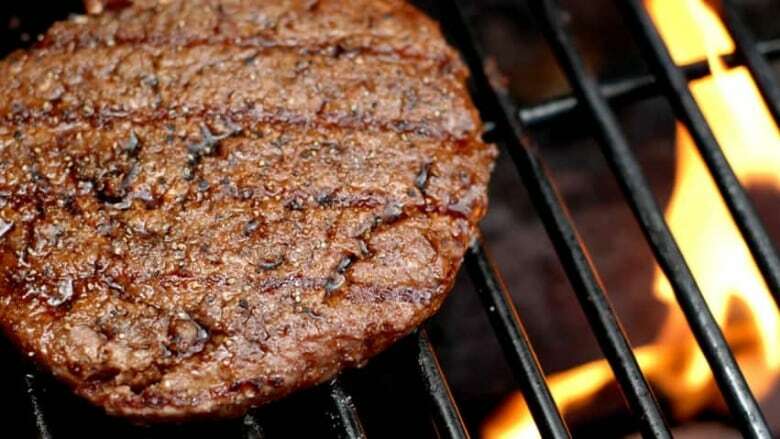 A hamburger patty made from lab-grown meat — or "schmeat" — is expected to be unveiled and grilled later this month at an event in London that is highly anticipated by animal rights activists and other backers. 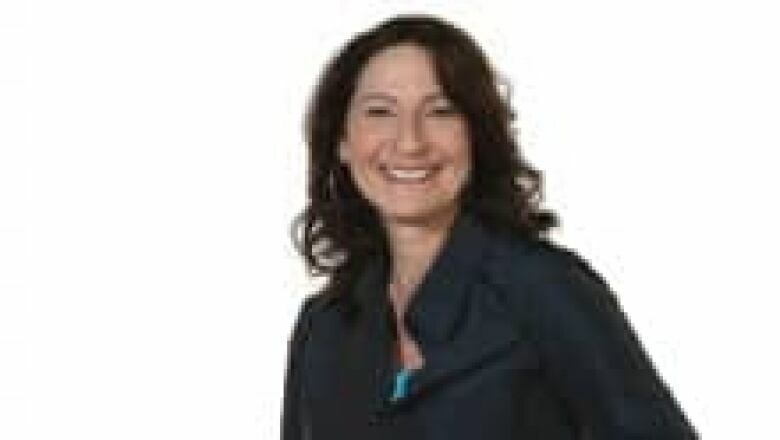 "The vision for this burger is really to attract support, to attract funding," said social sciences researcher Neil Stephens in an interview with CBC's The Current host Anna Maria Tremonti. "And I'm sure it will because it's a very enticing idea for many people." Stephens, a professor at Cardiff University in Wales, has been studying the ethical and cultural issues around in vitro meat and has interviewed all the key scientific figures in the field. Among them is Mark Post, a physiologist at Maastricht University in the Netherlands, who grew the meat for the upcoming burger unveiling in his lab. The development of the 140-gram patty has taken two years and cost €250,000 ($338,000). Stephens said the funding needed to scale up the process to something commercially viable is one of the biggest obstacles right now on the journey of in vitro meat from the lab and the supermarket. Isha Datar is among those who hope the London burger event will lead to larger amounts of funding for the development of in vitro meat. Datar is the executive director of New Harvest, a non-profit organization that raises awareness about alternatives to conventionally produced meat, and provides some funding and support to researchers in the field. "Meat as we know it today is very environmentally unfriendly," she told The Current. Datar noted that a large proportion of agricultural land is used to grow feed for livestock rather than food for people. "In terms of food security, that's not the greatest way to go." She added that livestock are also breeding grounds for disease epidemics such as various influenza strains. Among the supporters of in vitro meat is the group People for the Ethical Treatment of Animals, which has just extended its deadline for a contest to produce in vitro chicken meat. 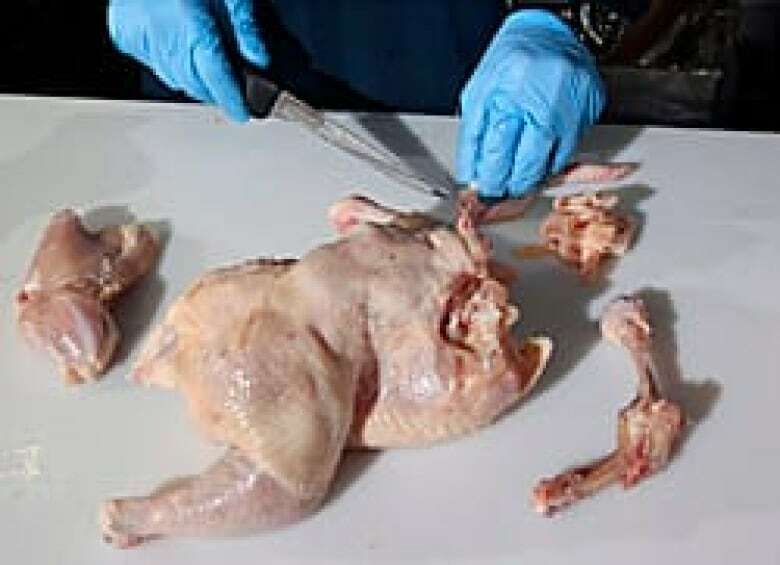 Researchers now have until the end of the year to claim the $1-million prize for being the first to bring in vitro chicken meat to market. Lindsay Rajt, PETA's associate director of campaigns, said, "In vitro meat provides a way for people to be able to eat ethically, while still kind of getting that meat fix." The cells needed to produce in vitro meat can be harvested without harming any animals, she said, and a commercial process for producing such meat could potentially save billions of animals each year "from abuse on factory farms and ultimately slaughter." At the moment, however, even Post is far from making that happen. "This burger that's going to be launched in London is really a proof of concept, which shows just … that something physically can be done," said Datar. So far, she said, Post has taken cells from the necks of cows and grown very tiny quantities in petri dishes, repeating the procedure "thousands of times" to generate enough for a hamburger patty. A brew pub for meat? Datar envisions a future where techniques for growing in vitro meat are so advanced that it "could happen in an appliance in our own home" or in a bioreactor at a restaurant. "Perhaps … it's something like a brew pub and they're brewing an in-house meat," she said. "And we perceive that as being artisanal and unique and exciting." Michael Noble, head chef and owner of Calgary's Notable restaurant, has a different perception of in vitro meat. "I don't get it and it scares the heck out me," said Noble, whose restaurant specializes in gourmet burgers and aged Alberta beef. He's also skeptical about how lab-grown meat would taste. "There's absolutely no way that you can recreate the flavour of what Mother Nature and the universe creates for us in the lab," he told The Current. "There's no way." Post admits that no one knows how the conditions of culturing the meat will affect the taste or even where the taste of meat comes from. And even if it tastes like meat, that doesn't necessarily mean the general public will view it as meat. Stephens said that issue is fundamental to whether in vitro meat will be able to replace conventional meat, and isn't something scientists have the power to define or control. "It's something that everyone else across the world, food companies and consumers, are involved in deciding." Would you eat test-tube meat?